The Ritz-Carlton, Bali elevates the guest experience, delivering a whole new level of luxury. With the recent introduction of exciting new lunch and dinner menus offered in the Club Lounge, the bar just got higher. Full Club Access is available at USD78 plus 21% government tax and service charge per person per day. 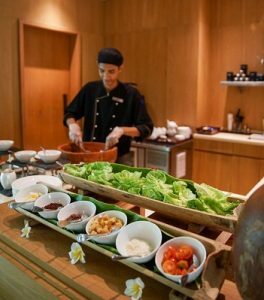 To elevate your stay with The Ritz-Carlton Club experience, please contact our reservation team at rcbali.reservaiton@ritzcarlton.com or visit our website at www.ritzcarltonbali.com or www.ritzcarltonbalivillas.com .